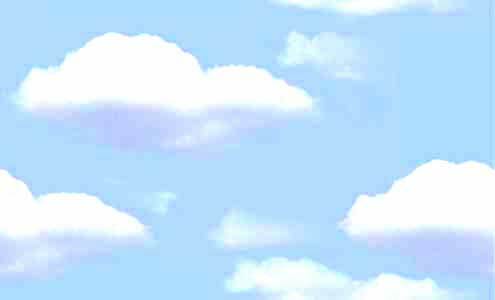 Lighting is one of the most dramatic ways of enhancing an event. 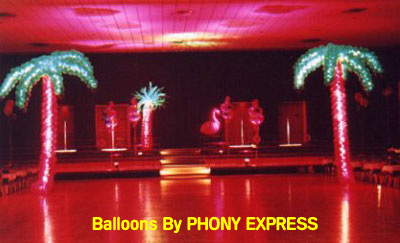 The "tropical palm trees" glow with internal lighting, while colored spots highlight the "flamingo" and "wild palm", as well as bathe the ceiling in color. 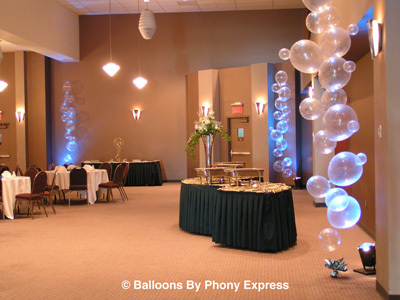 This photograph and the one below illustrate the use of floor spotlights with colored gels to "uplight" the walls and balloon decorations. 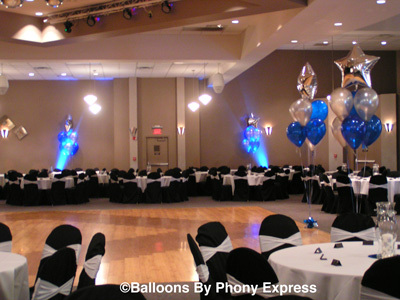 Balloon drops activated at the highlight of an event add extra impact, especially when used at the "grand finale". 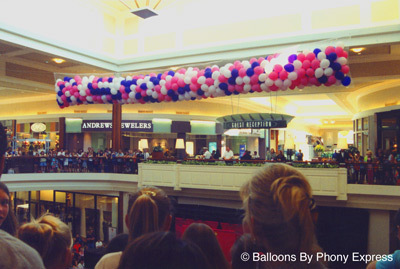 This drop was rigged over a two-story atrium in a Columbus shopping mall. 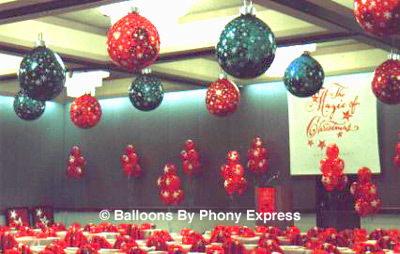 Giant ornaments area actually "exploding confetti balloons" containing both small balloons and confetti, ready to rain down on the attendees at this seminar.